Foil stamping is a special printing process that uses a heated die to press pigment or a thin metallic film onto a sheet of paper. It's often combined with embossing to make words, logos and graphics literally jump out from the page. Add some shiny bling by using metallic foils in colors like silver, gold, green, blue and orange. Make a bold statement with gloss pigment foils – you choose the color. Go for elegance with deep colored matte pigment foils. 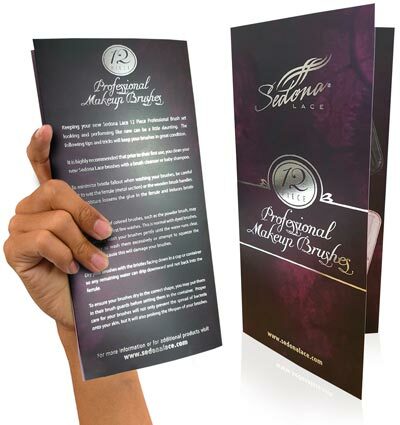 Foil stamping is most effective as an accent to make one part of a brochure stand out. It needs the right paper, placement and color to look its best. 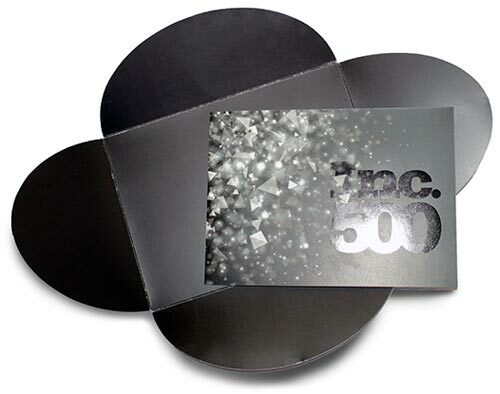 Foil stamping can be used on folded brochures, but it can't go across a fold. Make sure your foiled words or design won't end up in a crease. Because foil stamping is opaque, you can use a light colored foil over a darker background. As with all printing, your foil will stand out better if there is a strong contrast between the foil and the background. Brochures are a staple of trade shows and tourist attractions, but they're also great for a host of other uses, including menus, coupons, event invitations, maps and even resumes. To promote your brand identity, choose brochure colors and textures that are consistent with your values and the way you want people to view you or your company. Bright gloss foil stamped colors say "fun" on a cupcake shop menu, while silver and gold imply wealth and trust on a financial planner's brochure. Because brochures have more space than print ads or postcards, they're a popular option for describing a business or product. Focus on the benefit to customers and give them enough information to keep them interested – but not so much that they're overwhelmed. If your brochure will be on a brochure rack, put the foil stamping on the front of the brochure, near the top, where it's easy to see from a distance. Use bright, shiny colors so visitors can't help but take a second look. If you're mailing your brochure, use foil on the front and back to make it stand out from other mail. Need technical or creative advice on your foil stamped brochure project?